Bear Flag Farm, perfectly situated in charming Winters, California, is a sprawling, deeply picturesque vineyard estate that captures the artisan spirit of its native surrounds with sustainable harvests, visionary wedding design, and luxury service all rolled up into one delicious experience. The rewards of the land are abundant, infusing every celebration with the farm’s distinctive bounty: field grown heirloom vegetables, ripe fruit from the orchards, beautiful herbs from the herb garden, Bear Flag Farm’s own award-winning olive oil; and some of the finest estate grown Syrah in the region. These delights provide both a culinary and visual feast, making Bear Flag Farm the perfect stage for milestone moments. Overseeing this vision is self-taught agriculturalist and cultivator-of-all-things-beautiful, Tina Reikes, whose inventive planning and impeccable taste have earned her a global reputation as the master of magical weddings. Maintaining authenticity, romance, and calm during complex, highly-orchestrated events comes naturally to this former corporate executive, who makes it her personal goal to eschew the drama that can plague even the most well-planned weddings. Together with her team at Bear Flag Farm, Tina’s caring, unruffled approach instills everyone with a sense of joy, ensuring a blissful, beautiful, stress-free celebration! Tina and the Bear Flag Farm team provide full event design and production (signature celebrations) for a very limited number of events each year; please scroll down for more information on this exclusive option. We are delighted to work with you and your professional planner on a venue-only basis. If you're already working with a planner, please have them contact us directly for more details. If you still need to explore outside planner options, we will gladly provide you with our curated list of the industry professionals that we recommend, should you choose to book Bear Flag Farm for your event. We like to say, if you can dream it, we can do it. And if you can’t dream it, well, we’ll help you design a wedding that reaches for the stars anyway. Creating a completely original event, one that’s a true reflection of a couple’s personality, starts with a desire to delve deep: Sure, we want to know your favorite colors…but don’t be surprised if we ask you about your most meaningful childhood memory…the last accessory you purchased for your home…the meal you’d bring with you to a desert island. From there, we take those important details and make them the basis of our inspiration as we carefully create the look and feel of your special celebration. From bringing in a whimsical Ferris wheel, building an exquisite ceremony altar, to tracking down the perfect chandelier to hang over your sweetheart table, if that’s what your heart desires. At the same time, we cast a close eye on the farm’s bounty, noting what can be harvested from our orchards and gardens to weave those tastes into your menu. 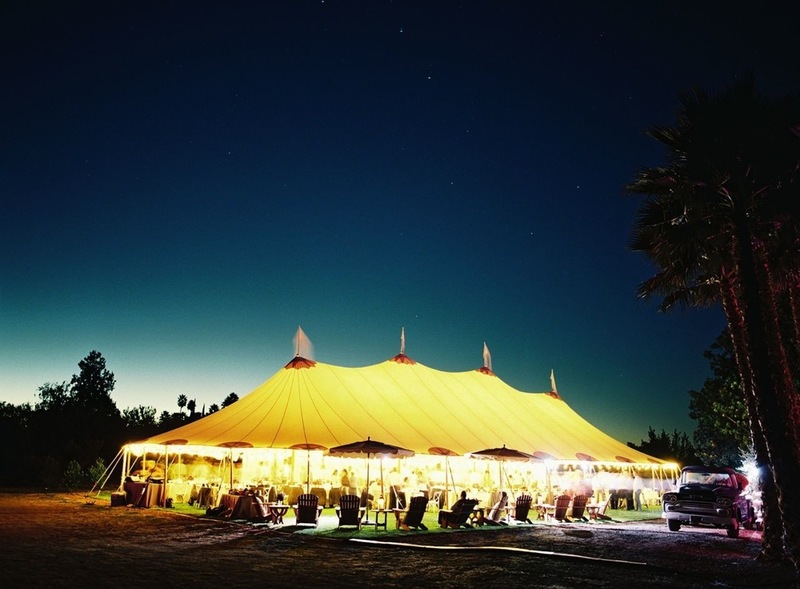 Bear Flag Farm partners with a highly select group of caterers, lighting experts, cake designers, stationers, luxury linen companies, specialty furniture and prop houses, rental companies, transportation and music service companies. Our decade of experience with these key service providers has resulted in an impressive history of beautiful soirees, stunning celebrations and very happy clients. As a luxury service venue, on-site staff, under the direction of Tina Reikes, includes a full-service design and production team known for unparalleled attention to detail and artfully curated style, and a coordination staff dedicated to running a seamless timeline to ensure your celebration is perfect and you and your guests are well cared for. In the end, it’s all about fashioning an experience that feels like “you.” Our client list is both national and international; and since communication is extremely important to us, we utilize the latest in technology to stay in close touch each step of the way. We offer two different options for hosting a wedding celebration at Bear Flag Farm. We would be happy to speak with you to provide additional details to assist you in your planning process. Please visit our Connect page to arrange for a private consultation..
We are happy to work with you and your professional planner to create your perfect celebration. The option includes the use of a white 20' x 20' walled tent for catering and a matching white 15'x 15' tent for event staff. We also provide access to our inventory of sailcloth cocktail tents, 8' banquet tables, 60" round tables and 54' square tables for a multitude of reception setup options at an additional fee. Pricing begins at $16,000 - Requires approved professional full-service planner. A luxurious all-inclusive celebration highly customized to your design vision. Casual family style fetes for 100 guests beginning at $67,000. For a more formal style of service and cuisine, and a higher level of customization, pricing begins at $84,000 for 100 guests. Larger groups welcome - special rates apply. Please call for further details. - Includes full service professional planning services. Private events from April through October.